We recently wrote a story asking whether the phrase Oracle Support is an oxymoron. Now we want to hear from you. According to a recent survey, 42% of Oracle application customers are dissatisfied with the quality of support. In another survey, satisfaction levels with Oracle Support are far below those for other major vendors. Oracle shops told of filing service requests and not getting timely responses, or getting poor responses. Some of these shops are paying Oracle six or seven figures for support services, and don’t feel they are getting what they are paying for. That said, maybe some of you out there are perfectly content with Oracle Support. Maybe you could tell us a story or two about how responsive Oracle Support was in your case. Whatever your situation, let us know in the comments. Thanks. News broke yesterday that Oracle would pay the U.S. government $46 million to settle claims of kickbacks related to Sun Microsystems. According to the claims, Sun Microsystems paid kickbacks to Accenture to recommend that federal agencies buy Sun products. The years in question were 1998 to 2006. Just as important: Sun wasn’t the only one. Six other companies, including Hewlett-Packard Co., have settled similar charges. So for many years, kickbacks from big IT vendors were a pervasive tactic in the IT industry. Accenture, of course, is one of the largest IT consulting businesses out there. So this draws into question just about any IT consultant. I’m not knocking IT consultants. Many of them provide very valuable services to companies with limited IT staffs. But if you’re not doing your own due diligence and are relying blindly on the recommendation of a consultant, you are putting your own organization at risk of being exploited like this. And chances are you don’t have the brawn of the Justice Department behind you to recoup any losses. Oracle’s “big” storage announcement today is a new StorageTek 5 terabyte (TB) tape drive called the T10000C. The T10000C is five times the size as its predecessor, the T10000B. Its throughput is 240MB/second, and Fujifilm Recording Media will manufacture the data cartridge. From the webcast today, it seems engineered to work best with Oracle’s own Exadata server and the IBM mainframe. So what does that mean? For Oracle shops, it means that Oracle will continue to push its integrated stack to customers. That can either mean you’ve got one throat to choke (a potentially good thing) or vendor lock-in (a bad thing). This much is true: Oracle is trying to spread its tentacles throughout the data center. Oracle rolled out CERN, the Geneva-based particle physics laboratory, as one of the first customers of the T10000C. Robert Amatruda, a storage analyst at IDC, also spoke during the Oracle-hosted webcast, giving his opinion that tape is still a viable storage option and that the T10000C indicates Oracle’s commitment to StorageTek and tape storage. He also mentioned a StorageTek tape storage roadmap that Oracle rolled out last year, indicating a product with up to 20TB capacity by 2015. SearchDataBackup published a piece last year about Oracle laying out its enterprise tape library roadmap for its largest customers. This is part of that. 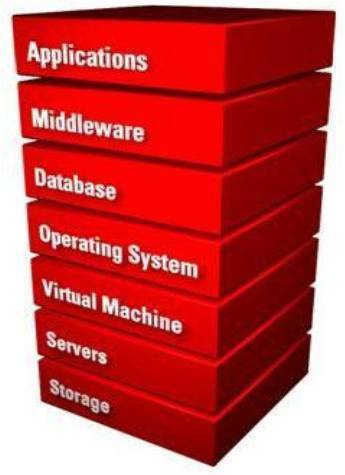 Storage is just one of the pieces of the stack that Oracle overtly wants to own from head to toe. It wants to be able to sell customers the chip to the application and everything in between. This announcement feeds into that. In particular, it signals Oracle’s commitment to StorageTek and building its own storage solutions — at least tape — by itself. Earlier this month we wrote an Oracle 2011 predictions story, with one prediction being that Oracle would buy a storage company this year. But maybe that won’t happen. Maybe Oracle plans instead on investing engineering resources into the StorageTek brand of Sun that it acquired last year. Update: SearchDataBackup has a full story on the T10000C. The Oracle Applications Users Group (OAUG) has a new president: Mark C. Clark. Clark is a senior partner at O2Works LLC, a Dallas-based Oracle consultancy focusing on E-Business Suite. Previously he was one of the first Oracle applications consultants, having started with Oracle itself back in 1990. He has been involved with the OAUG for many years as well, having helped found the North Central Oracle Applications regional users group and serving on the board of the South Central Oracle Applications regional user group. Clark replaces David Ferguson. SearchOracle will try to interview Clark as soon as possible for a Q&A. Keep an eye out. 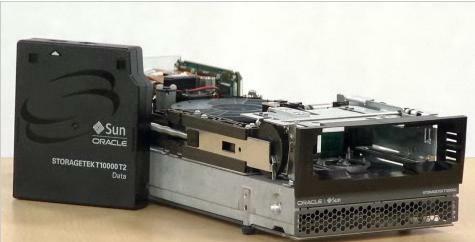 Oracle is promising a new “game-changing” storage technology announcement next week. Storage is just one of the pieces of the stack that Oracle overtly wants to own from head to toe, as shown in the picture here. It wants to be able to sell customers the chip to the application and everything in between. This event feeds into that. Earlier this month we wrote an Oracle 2011 predictions story, with one prediction being that Oracle would buy a storage company this year. But maybe that won’t happen. Maybe Oracle plans instead on investing engineering resources into the StorageTek brand of Sun that it acquired last year. What exactly Oracle will announce is still up for speculation, but some have noted that the announcement will come from Jim Cates, listed as VP of hardware development. Cates started his career as a systems engineer at StorageTek, the storage company that Sun acquired in 2005. Until recently he was the VP of tape development at Oracle. StorageTek has mostly been known for its storage tape backup equipment and storage management software. So that has led some to speculate that Oracle will be announcing something related to tape on Monday. If your business counts on storage performance, scalability, and value, then Oracle has all-new solutions you’ve been waiting for. Join this important Webcast and be among the first to learn all about it. You can read between the lines for yourself. What sticks out to me is the repeated mention of reduced “floor space consumption” and “smaller footprint.” I’m no storage expert so I’m not sure what it means, but it seems to mean something. Oracle will release a patch update on Tuesday with 66 vulnerability fixes on products including Oracle Database, E-Business Suite, PeopleSoft and Fusion Middleware. The biggest vulnerabilities are for Oracle Audit Vault, Fusion Middleware, Sun products and Open Office. For example, of the 16 vulnerabilities Oracle is patching on Fusion Middleware, 12 of them can be “remotely exploitable without authentication,” meaning they can be exploited remotely without a username or password. Oracle has announced that it is dropping support for running the open source MySQL database on IBM’s midrange server platform, now called IBM i and previously called AS400, iSeries, and System i.
Oracle will continue to provide source code and limited product support for those IBM i users who still want to run MySQL, but thinks there isn’t enough traction of MySQL on i to be worth the support. IBM said it is still looking for ways to support MySQL on i, possibly through Zend Technology, the company known for its PHP scripting language. IBM may be another future support option. How much of this is a business case and how much is a competitive case is unknown. What is clear is that since acquiring Sun (and therefore MySQL), Oracle has been focused on steering customers toward Oracle-Sun server hardware as much as possible. IBM i doesn’t fit that bill. “It doesn’t really surprise me that Oracle is beginning to say they will support fewer and fewer platforms as they try to shore up their Solaris business,” Jarman told IT Jungle. Former Sun engineer Eduardo Pelegri-Llopart has put together a large list of Sun employees who have left Oracle for other companies. It includes more than 100 people who have moved onto companies like VMware, Accenture, and Google. It is by no means a complete list and is more a list of people in Pelegri-Llopart’s social circle who left Sun, but it is still quite substantial. Some of the more well-known ones include Tim Bray, the former director of Web technologies at Sun who is now a developer advocate at Google; Bryan Cantrill, a former engineer at Sun who helped developed the much-heralded DTrace feature of Solaris, who is now VP of engineering at Joyent; and Simon Phipps, the former head of open source at Sun who is now at ForgeRock. Pelegri-Llopart is now at Research in Motion Limited (RIM). Pelegri-Llopart said he plans on updating the list until the end of the month. According to his current list, the biggest landing spot for former Sun employees is Joyent, a cloud hosting company that runs a lot of Solaris and OpenSolaris. …you can use your existing Oracle licenses at no additional license cost or you can acquire new licenses from Oracle. We implemented Oracle VM support on Amazon EC2 with hard partitioning so Oracle’s standard partitioned processor licensing models apply. Meanwhile, however, Oracle is still pushing Exalogic, its so-called “cloud in a box.” Recently we asked whether Exalogic is really cloud computing, and at this point it seems as if Oracle is trying to define cloud computing in two ways. An example of the first is running Oracle applications on AWS, as described above. The second is buying a big server on which to run WebLogic, which describes Exalogic. Interesting. On Tuesday we ran a column by Eric Guyer, a consultant for Forsythe, on Oracle Exalogic Elastic Cloud. Now I’d like to point you to a little widget he put together for estimating Oracle software licensing costs. “For the uninitiated, Oracle adopted a core factor strategy for licensing a few years ago. While the math isn’t necessarily difficult, creating budgetary numbers can be a time-consuming process of spec’ing out servers, cross-checking the core factor table with Oracle’s published software price list and applying expected discounting,” Guyer wrote. Users can even have a budgetary quote in Excel format sent to them via email after using the software quoter. Currently, there are limited reference architectures in the widget, mainly focused on Exadata and Exalogic, but Guyer is updating them frequently. Check it out.